Arrive and start hiking: In our magnificent hiking area, everything is possible. 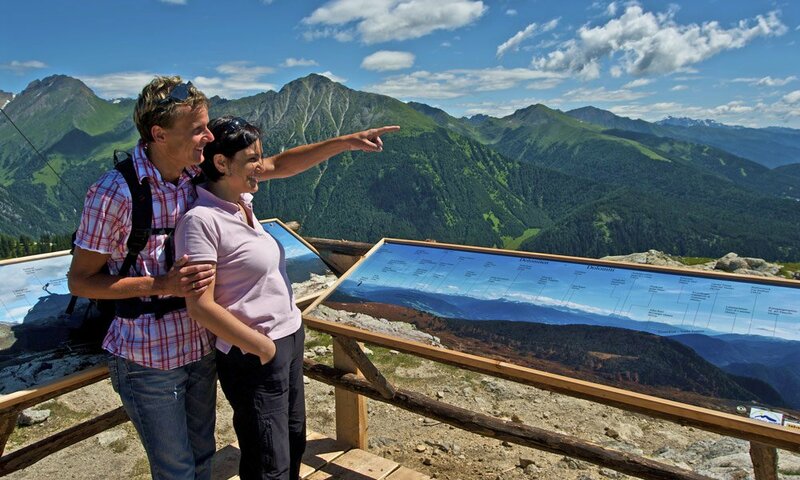 Get an overview of all the possibilities at the beginning of your vacation – on the summit of Mount Gitschberg. Climb to wonderfully quiet heights and enjoy the indescribably beautiful panoramic views of the Dolomites, the Ötztal & Zillertal Alps. The easiest way to reach the mountains: only two minutes from our hotel, a cable car that takes you up to 2,050 m. Conquer the summit or hike from Maranza to the nearest farmed alpine hut, admire the diverse alpine flora and enjoy the genuine hospitality which welcomes you everywhere. Stroll across blooming meadows, walk through fragrant larch forests, take a panoramic tour or participate in a guided hike. The pastures of the Altafossa Valley are always worth an excursion. 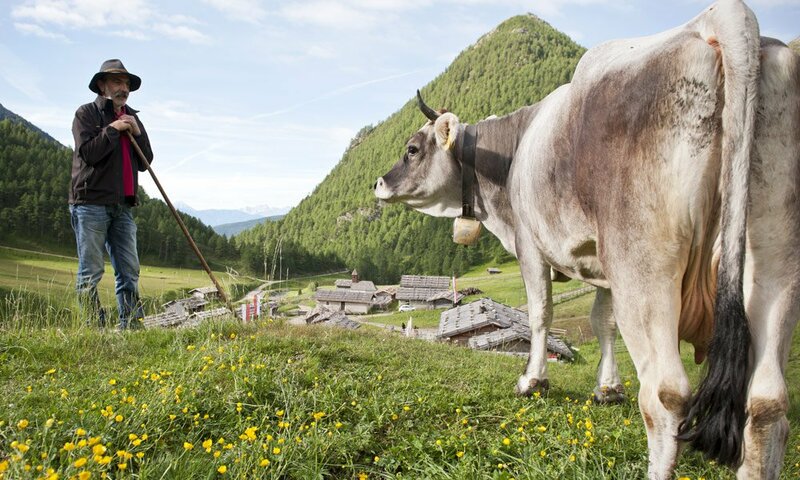 The Fane Alp at the end of Valles Valley awaits you with its mysterious fairy-tale village – and if you are in good shape, from there, you may climb the peak Wilde Kreuzspitze or continue to the Fundres High Trail. Hiking in Maranza – discover beautiful destinations right at your doorstep. Visit the “Mühlbacher Klause”, the lakes of Seefeld or the lodge Brixner Hütte. 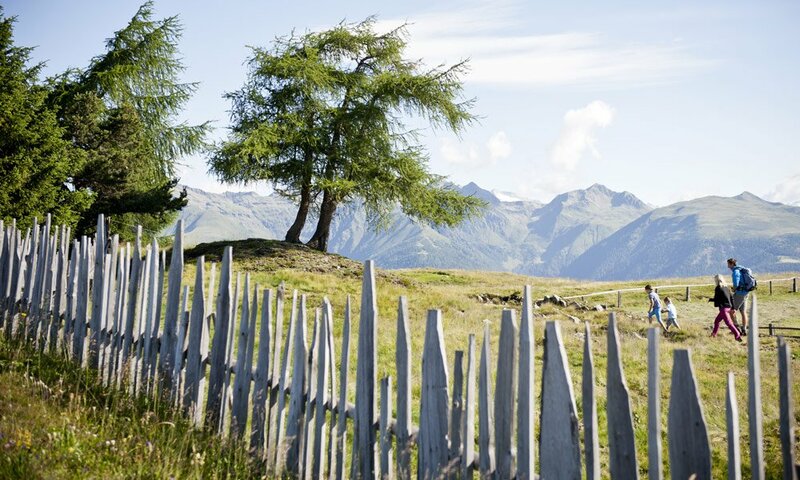 Around 30 picturesque alpine huts await you in our region, and they are all worth a visit. The Alpe di Rodengo is an excellent, autonomous hiking area, which alone can fill an entire hiking vacation. For families with children, however, theme trails are a good choice, such as the Alpine Kneipp Path or the Bee Path in Rodengo. Furthermore, there are many exciting guided tours, which are free of charge for holders of the AlmencardPLUS!